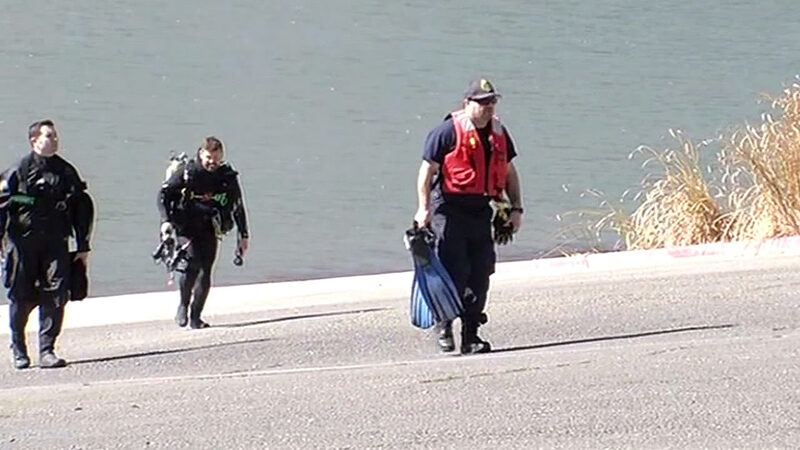 LIVERMORE, Calif. -- A body found Wednesday morning in a lake near Livermore is believed to be a missing boater who crews have been searching for since Friday, an East Bay Regional Park District spokeswoman said. A fisherman found the body at about 7:10 a.m. floating about a half-mile north of the Lake Del Valle marina, just south of where Salesforce IT contractor Raghavendra Indugula, 31, of San Francisco, disappeared during a company outing on Friday. Salesforce issued a statement today saying it was aware of the finding. "Our thoughts and prayers are with Raghu's family and friends," company officials said. Indugula was visiting Lake Del Valle as part of a team-building activity with his Salesforce co-workers. Multiple groups were being shuttled back to the marina from the Hetch Hetchy group picnic area at about 7 p.m. Friday, park district officials said. The 14-foot aluminum boat carrying Indugula and seven other people was at capacity when it started filling with water, according to the park district. The passengers jumped from the boat and started swimming to shore, but when they arrived Indugula had disappeared, Jones said. The water reaches depths of 50 feet where the boaters abandoned ship, complicating search efforts. Search and rescue crews from Alameda County, Livermore and the park district searched over the weekend and through Monday. They had taken a break on Tuesday but planned to resume as soon as this morning, according to the park district. East Bay Regional Park District police are continuing to investigate the case.